nolefan, if you don't know the details of this problem i'd appreciate you not making comments like that. at this point this is between me and andy. lack chose to avoid talking to me but i'm assuming he also knows all the details. and i'd appreciate it to remain like that. You're the one who made the situation publicly known with your posts here (if you wanted the situation to remain private, you wouldn't have let everybody know in these threads). wow - what the hell is going on here? Anyone know what happened with dim? Here's the agreement. Not sure if DiM agreed to something like this or not. This was 4 years ago. Rj, that's the same we get now. As to the what and whys, ifs and outs of the DiM situation, the only two people that probably know all of it are DiM and Andy and I doubt either will tell the whole story. Just a shame it came o this in the end. i'd like to bring this back. the note in the first post says the badges are no longer valid unless a CA reviews the map and re-approves it. so here are the latest images. Last edited by DiM on Thu Mar 13, 2014 4:31 am, edited 2 times in total. DiM wrote: i'd like to bring this back. 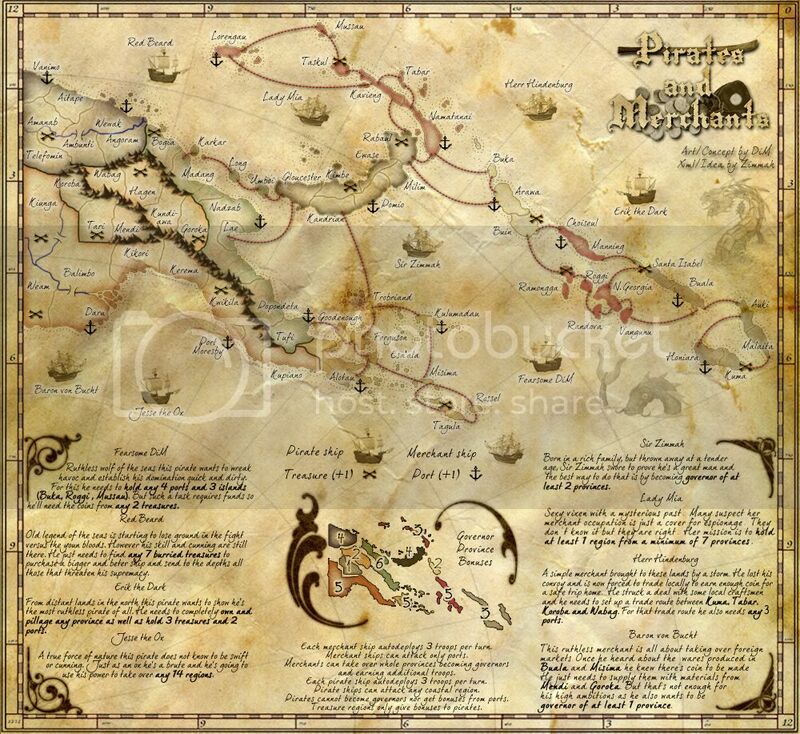 Of course, who wouldn't love a map that features fair maiden sir Zimmah? Also, can this map be tested in the private beta so that the beta testers can start on checking the balance? 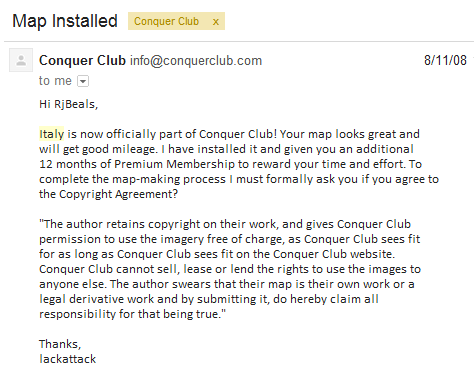 I believe the map and XML are done. thanks, i'm actually looking forward to this as i'm curious how it will play. i tried to make the missions fair but i fear it will spend quite a bit of time in beta for balancing purposes. zimmah wrote: Also, can this map be tested in the private beta so that the beta testers can start on checking the balance? Alright, this is on the beta site. dim, maybe you could spread out the pirate objectives a little bit? Red Beard is quite close to the wording of Fearsome Dim. There appears to be room under Jesse the Ox, so maybe a bit of a shift downward would be good? I think the spaces between the Merchant objectives looks much better. would you like to join the beta testers Owen? I feel red beard may be too easy. It's not too hard holding 7 treasures compared to most other objectives, especially because as a pirate you can invade most treasures right from your ship. And there will be at most 3 other persons who can attack your treasures right from their ship (so in many cases it requires an attacker more effort to take a treasure from you than it took you to capture it). Right now it seems to be one of the easiest objectives. so 9 would be better? or perhaps leave it at 7 treasures but add 2 ports from where he can plan his ruthless attacks. this way he'll have to compete with other pirates for the treasures and with the merchants for the ports. one more thing. are the pirates a bit overpowered cause they can attack any coast? would it be better if instead of this, they'd be able to attack any port + any coastal treasure? I am not sure, they feel strong because there's just so much coast, an it's nearly impossible to hold a continent anyway. I do like the extra mobility of pirates, but it may indeed be a little over the top. by the way, in in the objective for DiM, can you have any three islands, or just the 3 named? Because in the current XML it's just the 3 named. just the 3 named so it's fine like it is now.